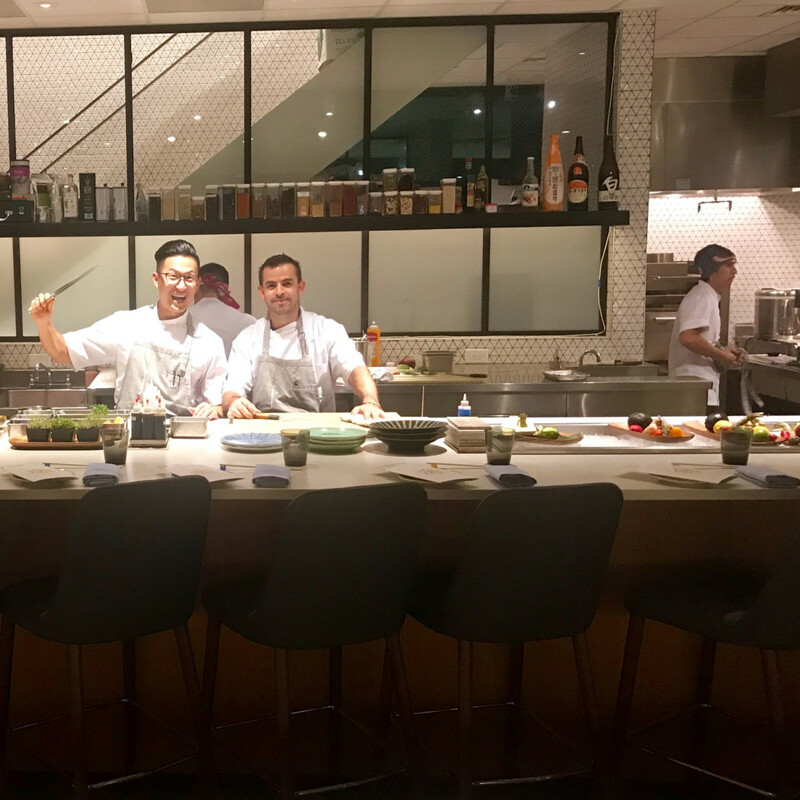 Austin chef Paul Qui's newest endeavor, Aqui, officially opened Monday, August 14, in Houston's Montrose neighborhood. Despite being led by a James Beard Award winner, the restaurant has arrived relatively quietly. The first photo on the eatery’s official Instagram account posted August 15. Qui has been similarly quiet, with just one post on Instagram and a couple of Tweets announcing the restaurant’s arrival. All of which means that when five friends and I arrived for dinner Monday, we had almost no expectations. We’d seen a few dishes on social media, but not much commentary on the dining experience. One thing that had us feeling optimistic about the meal's potential is that Qui has hired a top Houston talent to run his kitchen. 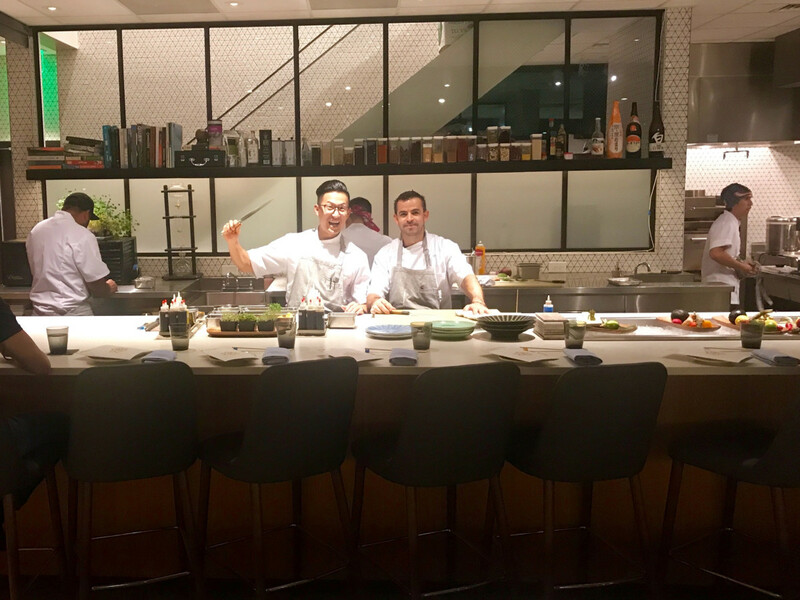 Chef de cuisine Gabriel Medina has a resume that includes stints at Kata Robata; Soma; and Narisawa, a restaurant in Tokyo currently ranked 18th best in the world. As well, sous chef Niki Vongthong joins Aqui after working at Uchi, and pastry chef Jillian Bartolome brings a Michelin-starred resume from her both work for acclaimed chef Thomas Keller and her time as the executive pastry chef of Common Bond. Immediately upon entering the double gabled structure, the space’s overall design impresses with its clean, modern look. Light woods and a blue-gray scheme give the place a serene atmosphere. Upon entering, diners will find the hostess stand to the left and the bar directly in front. It’s a slightly more casual setting than the main dining room, with a TV that was showing sports. I didn’t examine the back bar very closely, but a selection of Japanese whisky gets prime placement. The dining room is long and narrow with seating at the raw bar to the left, a row of booths down the middle, and tables along the windows that look out onto the patio. A smaller room towards the rear looks as though it could be closed off for private dining. Our server described the cuisine as Southeast Asian with elements of French and Japanese. We noted that Thai and Filipino seem to be the dominant influences. The menu has seven sections: Raw (four dishes), Kamayan (three dishes), Perfect Bite (10 dishes), Vegetables (three dishes), Hot (four dishes), Rice and Noodles (three dishes), Perfect Bite Desserts (two dishes), and Desserts (three dishes). During one of his visits to our table, chef Medina told us that he plans to expand the restaurant’s offerings once the kitchen gets more experience with the dishes. While most of these sections are self-explanatory, two deserve a little more description. The Kamayan section consists of Filipino-inspired breads. The Perfect Bite section consists of carefully composed individual morsels. We thought we might be able to split these, but they truly are bite-sized, slightly smaller than a piece of nigiri sushi. If five people at a table all want to try the same bite, then order five individual pieces. 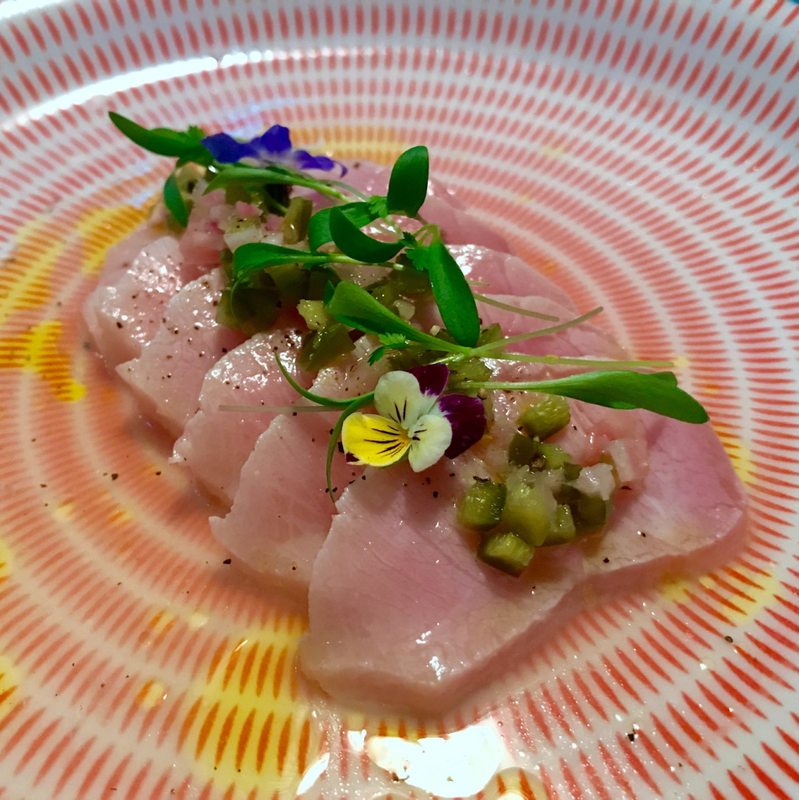 The restaurant’s fifth day of service is too soon to form any definitive opinions about its cuisine, but Aqui made an overwhelmingly positive first impression. 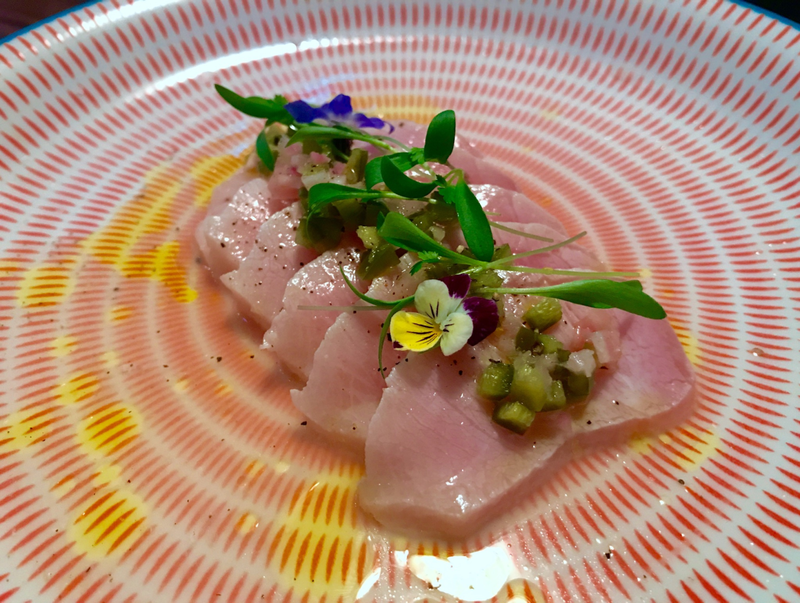 Of the raw dishes, we preferred the hamachi crudo, which paired the meaty fish with olive oil and jalapenos. 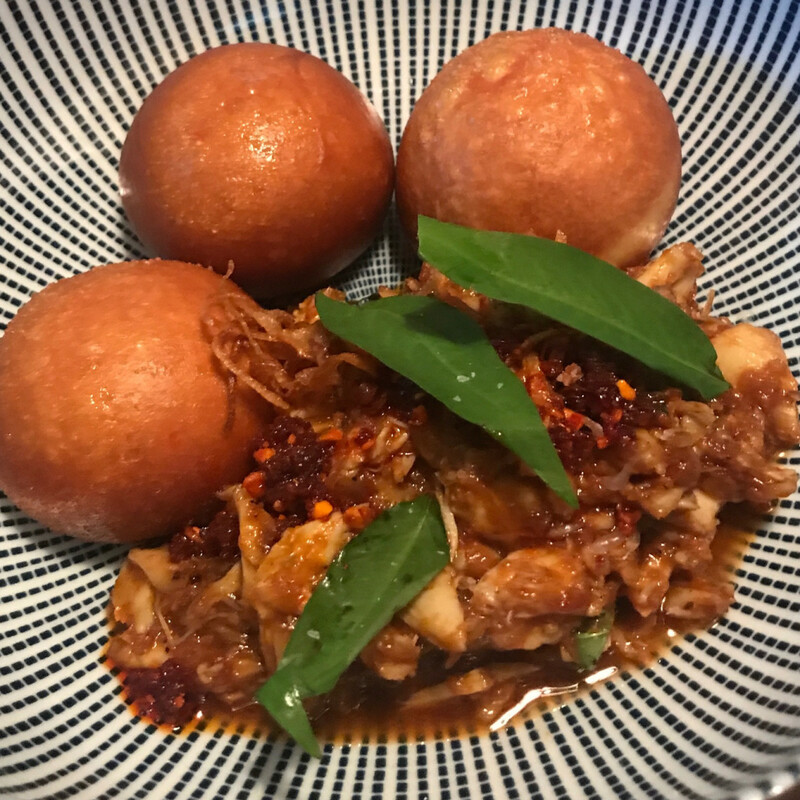 Chili crab with fried bao stood out thanks to its balance of sweet crab meat with the spicy sauce (the three included bao aren’t quite enough to sop up every piece of crab, but the restaurant will bring more if requested). Both the mushroom salad and Eastside Market vegetables scored thanks to spicy sauces and the diverse array of mushrooms and vegetables included in each dish, respectively. 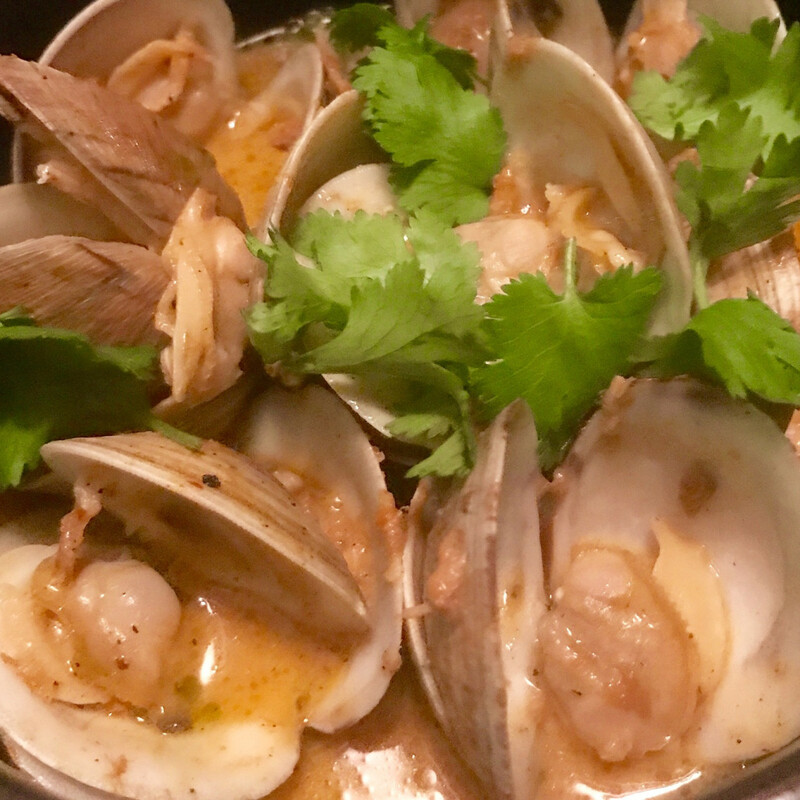 Littleneck clams arrived in a Thai-style red curry broth that got a little extra fatty richness from foie gras butter. 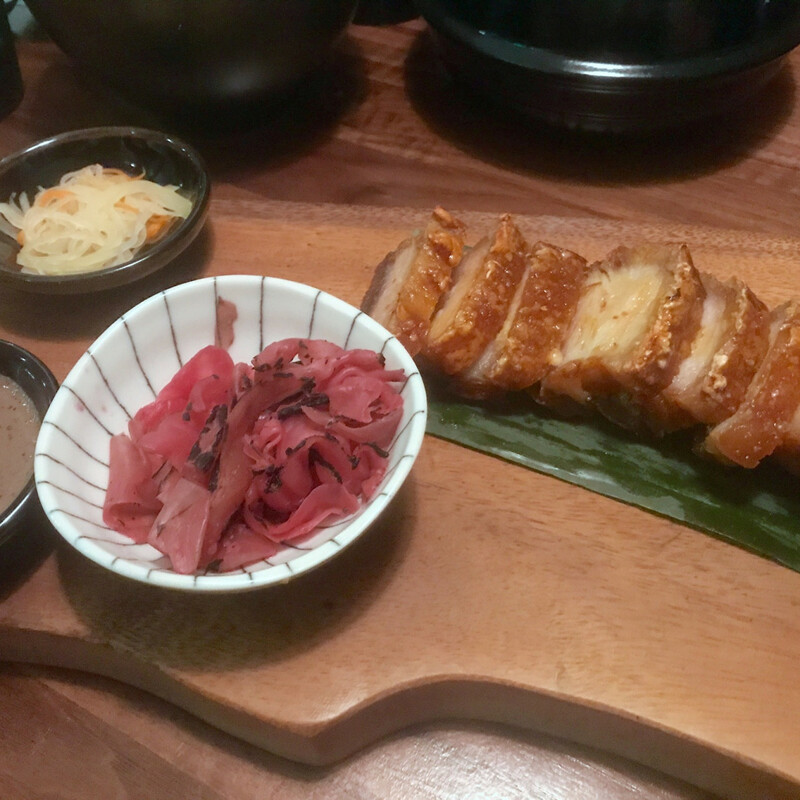 If any dish is a must-order, it’s the pork belly/lechon, which features juicy meat with a layer of crispy fried skin and a variety of dipping sauces. Thanks to its combination of textures and flavors, we deemed it our favorite dish of the evening. 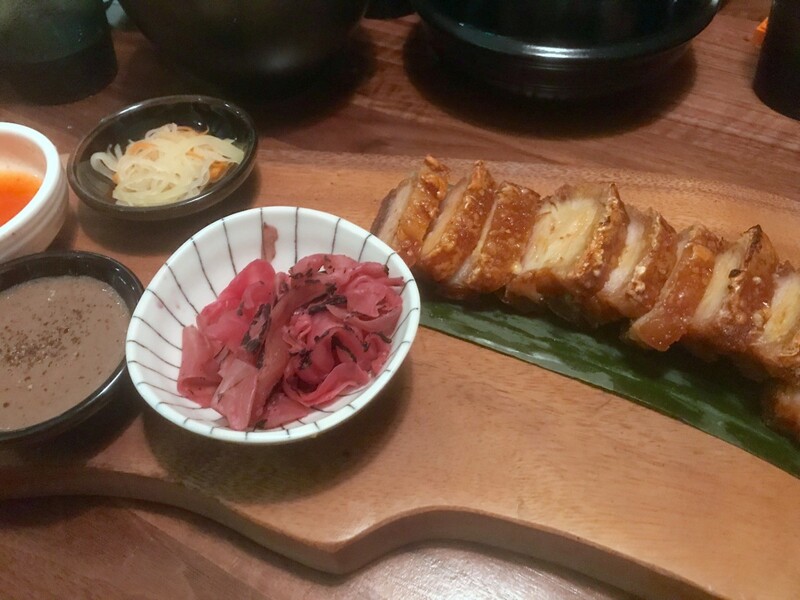 Some dishes seemed designed to deliver authentic flavors from their respective regions whether or not they suit the traditional American palate. We didn’t enjoy the bitterness of the shrimp and betal leaves bite or a too-chewy order of roasted squid, but they might suit someone who has a deeper familiarity with the traditional dishes that inspired Aqui’s versions. As six people who all have some connection to the restaurant industry, it’s difficult to evaluate whether the service we received is typical of what diners can expect. One positive sign is that our server knew the menu thoroughly and had favorite dishes for each section. Looking around the room, chef Medina seemed to be in constant motion; if he wasn’t supervising the final preparation of dishes, he was visiting tables to greet diners. Although Qui wasn’t present during our meal, chef Medina shows every sign that he’s already in command of the restaurant. Of course, some people will never visit Aqui because of Qui's arrest on assault charges in March of last year. Nothing about Aqui mitigates the seriousness of those allegations or the potential consequences Qui could suffer if he’s convicted. Eater Houston reports he has a pre-trial hearing scheduled for August 18 related to the case. 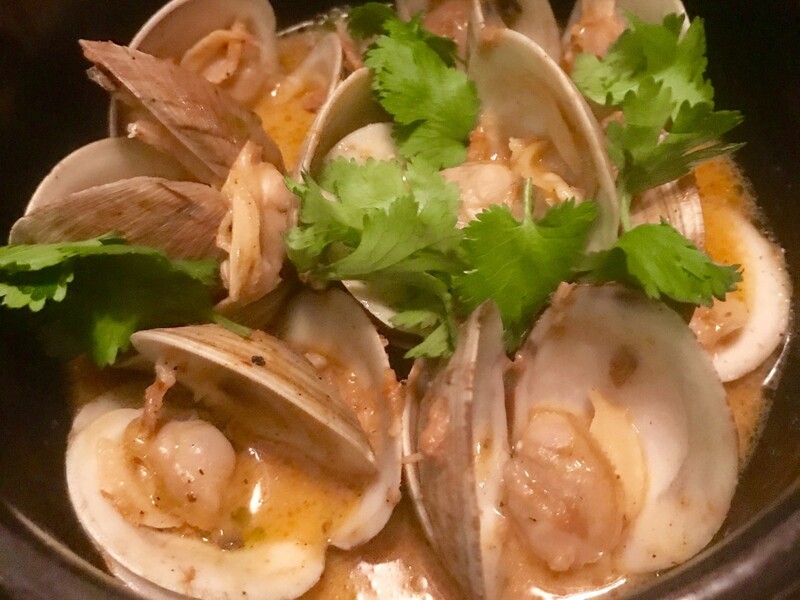 For everyone else, Aqui’s mix of Thai and Filipino influences with high-quality ingredients brings a culinary perspective that sets it apart from any other Houston restaurant I've dined at. The room is elegant and inviting. The staff is friendly, hardworking, and talented. As a place to dine, it is worthy of attention. 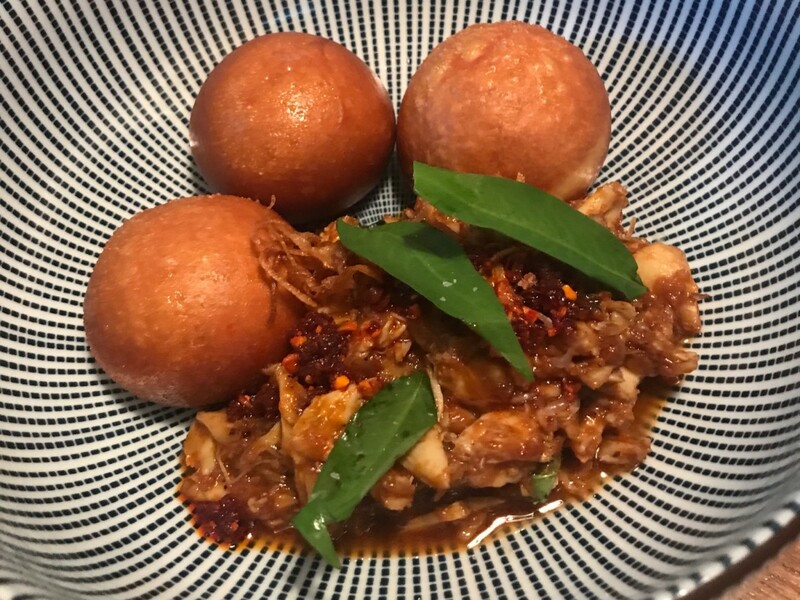 We all agreed that dishes like the chili crab, hamachi, and lechon have us excited about the restaurant’s potential and eager to return for another meal. My next visit will be soon.